PeachSkinSheets California King Set includes one 108" x 102" Flat Sheet, one 72" x 84" Deep Pocket Fitted Sheet for mattresses up to 18" thick including memory foam, custom number and double pillow top heights, and two 20" x 40" King Pillowcases with European Envelope Closures. PeachSkinSheets are wrinkle free, breathable, 1500 thread count softness with a brushed PeachSkin finish on both sides of the sheet, no shrinking, 18 inch deep pockets, anti-microbial, ultra soft, wicks away moisture and anti-pilling.The durable athletic grade performance SMART fabric wicks away moisture to keep you drier and more comfortable. Available in Split King, Cali King, King, Queen, Full, Twin and XL Dorm Twin and XL Dorm Full. 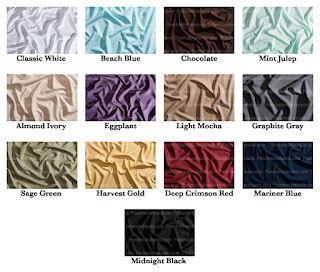 They also come in a variety of colors like Beach Blue, Chocolate, Sage Green and more. 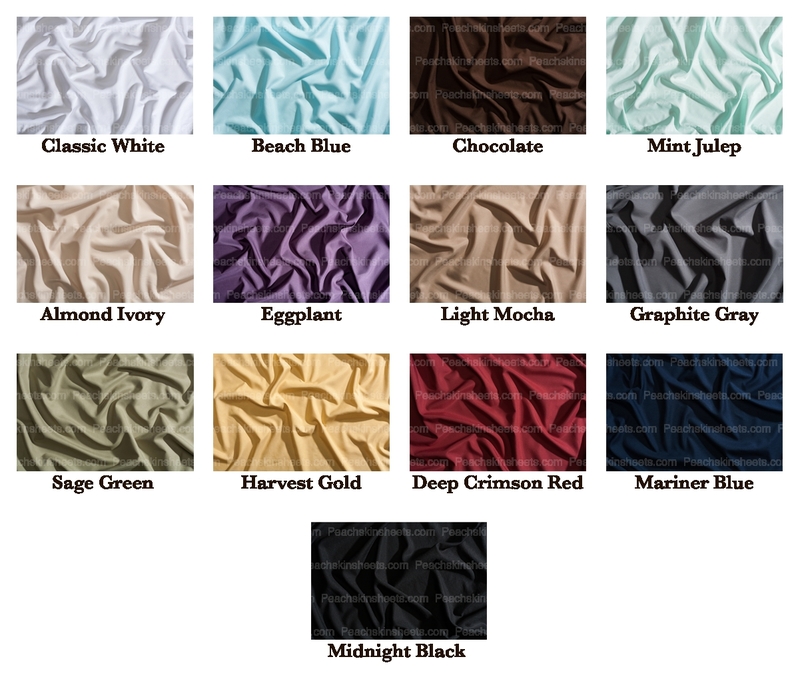 The sheets have wrinkle release that is activated in the dryer on medium to medium/high heat (temperature depends on your dryer) in about 20 minutes after washing. Please wash and dry prior to photographing so that the sheets look smooth and wrinkle-free as intended. My Opinion: I just had the best sleep of my life on The Original PeachSkinSheets and I was sent some Cali King Set in Mariner’s Blue which I washed first then put on my bed these sheets are so soft and I felt I was sleeping in luxury. It has been hot and humid out this past week and I noticed I did not wake up as soaking and wet with these sheets as I did with my other ones which I loved so much. Something to me sleeping on these made me feel so relaxed. I can’t tell you how much I love these sheets. Disclaimer: I received these sheets for from The Original PeachSkinSheets in exchange for reviewing them on my blog. This is solely my own opinion which may differ from yours . I'd really like to get the gray sheets as they'd match perfectly with my comforter.